You are entitled to recover any surplus funds that result from the foreclosure sale of your home (CIVIL CODE SECTION 2945-2945.11). Surplus funds arise from the difference between the sale amount of a home in a foreclosure sale and the mortgage on the house at the time of the sale. It is crucial for homeowners to collect all funds that are eligible for from the foreclosure sale so they can provide financial help for the next steps in their lives. During a foreclosure, there are many moving pieces with the sale process. However, the strains of life are just as important. Our foreclosure attorneys will recover any amount of mortgage surplus from a foreclosure sale for you to help make your life a little easier with the cushion of the financial injection you will receive from the surplus funds. Get in touch with our foreclosure attorneys at (818) 254-8413. 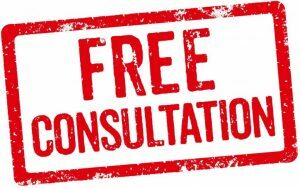 We give FREE legal advice! You can claim any surplus of money resulting from the foreclosure sale of your home by hiring a foreclosure attorney. To begin with, the foreclosure trustee in your foreclosure should have deposited any surplus funds accrued from the foreclosure sale. If the trustee does not deposit the money for the previous owner (after foreclosures for sale occurred), it becomes more complicated to recover the surplus funds. If you know or believe you have a surplus of money from your foreclosure sale, reach out to our foreclosure attorneys to take immediate action. What Happens to the Surplus Claims if I Don’t Collect Them? If you don’t collect the surplus claims from your foreclosure sale, the sales trustee will most likely keep it. Many homeowners are under the impression that any extra cash remaining after the foreclosure sale belongs to the trustee or the new homeowners, but not themselves. This is partly due to the sales trustee not depositing the surplus funds to the previous owners or simply not informing them about it. Unfortunately, surplus fund fraud does occur in our world. Foreclosure sales trustees know that many homeowners do not know that the surplus funds belong to them and will not disclose the information to them unless asked to. What Do I Do if I Didn’t Receive My Surplus Funds? If the sales trustee does not deposit the surplus funds to you or does not tell you about the funds, you can file a lawsuit to get the funds. It is important to act quickly when you realize you didn’t receive your equity surplus or it will be more difficult to recover your funds. Foreclosure sales trustees can take advantage of this with numerous other houses in foreclosure. Do not let these fraudulent practices happen to you. Our experienced foreclosure attorneys will act on your behalf to retrieve your surplus funds. If you know or want to find out whether or not you have surplus funds you can claim, get in touch with one of our foreclosure attorneys. We will find out if you have excess funds to recover or file a lawsuit against foreclosure sales trustees for not giving you the funds as dictated by law. Reach out to our attorneys at (818) 254-8413 to discuss steps to recovering your surplus funds.